Paribus Review: Can This App Really Save You Money? Have you bought something and it turned out the price dropped the next day? How frustrating is that, right? I know how you feel. I've been there several times before. How I wish there were a product that could file a reimbursement on your behalf when the prices of the products, you just bought drop. Oh wait, there is. Let's start with our Paribus review. Paribus is a FREE service that keeps track of your online purchases. It submits refund requests when available. It's that simple. If you are looking for an in-depth Paribus review, you've come to the right place. Paribus is designed for people who shop online and want to save additional money by getting a refund when the prices of the products they just purchased drop. 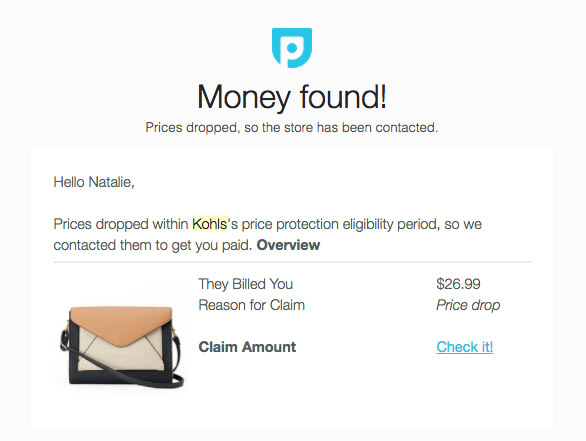 It looks through your email receipts to find out if any products (from stores Paribus monitors) you recently purchased are eligible for a refund. If the app detects a price adjustment, it will request a refund. You don't have to do anything. 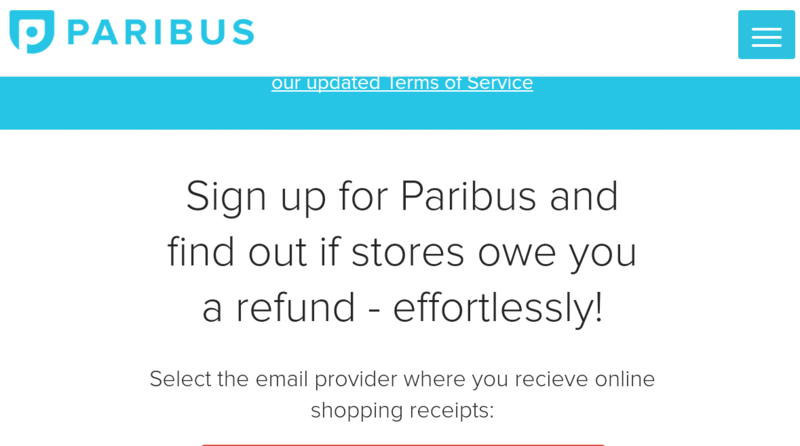 Paribus will make a refund request on your behalf. It will contact the store and submit one for you. Easy, right? It is easy. Most companies (online or brick and mortar) offer price-matching on purchases, that is, if you find a lower price within a given period. Paribus comes in and does all the work for you. Now, Paribus is now 100% free. Yes, there's no fee for signing up for and using Paribus. What's even better is that you a credit card is not necessary when you sign up. Who doesn't like that? How does the Paribus service work? When you sign up with Paribus, you will need to provide Paribus access to your email. This is its way of getting the email receipts and finding out of any of these receipts are up for refunds. Once access is given, Paribus will start crawling in your email to find the receipts that are supported by this product. Once it found all the receipts, it will compare prices online to see a potential refund. When a refund is found, Paribus will send a message to its customer service for refund action. Good thing you ask. So, what stores does Paribus monitor? The answer is below. That's over 20 big stores, which are the stores that most people go to for shopping. What are the good and the bad things about Paribus? Honestly speaking, almost everything is good. It does all the legwork and you, on the other hand, can sit, relax, and have fun and get your refund when there is one. You don't have to put in hours to search for price reductions, request refunds, and talk to sometimes-automated customer representatives. As you know, refund policies of retailers vary from one retailer to another. They also change from time to time without notice. Like what I said, Paribus will do the legwork for you. It sounds simple because it's that simple. So, what are the Paribus complaints or bad things about Paribus? One thing I am not a fan of Paribus is its access to my email. Some people raise the same sentiment. Because Paribus works by looking at your online receipts, the only way it can do that is by looking into your email for those receipts. Some people think it's an intrusion of privacy. That said, I haven't had any problem with Paribus. It has access to my email for the sole purpose of looking into the receipts. Great question. All you need to do is have a credit card on file. Just like how brick and mortar retailers issue refunds, that is, the refunds get credited back to your credit card. It's that simple. Paribus is part of Capital One, the giant credit card company. I like Capital One and haven't had any problems with it in the past 15 years I have my credit card with that company. Personally, I would trust Paribus. I trust Paribus especially now more than ever in that it's a part of the Capital One family. I like Paribus and highly recommend it to people who want to get additional savings in the form of refunds without actually lifting a finger. Since I signed up a couple of months ago, I have gotten over $200 refunds. That's a pretty sweet deal knowing that I didn't do anything but allow Paribus to do everything for me. This may not be the right app for those who feel like Paribus is going to poke here and there in your email. If you want to give it a try, Paribus sign up is here and it's for FREE. Does the Paribus review help you decide on whether to try Paribus or not? Do you think Paribus is for you?